Adobe’s relentless drive to provide exceptional products for the creative souls has met with another major addition in the form of Adobe Edge. 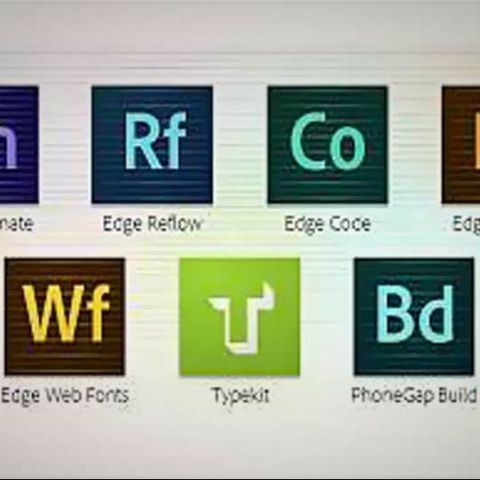 Edge has been expanded by Adobe to include more tools and services to streamline the web development process. The various tools tackles the task of animating, coding, inspecting and packaging for mobile devices and play well not only together, but with third party applications too. 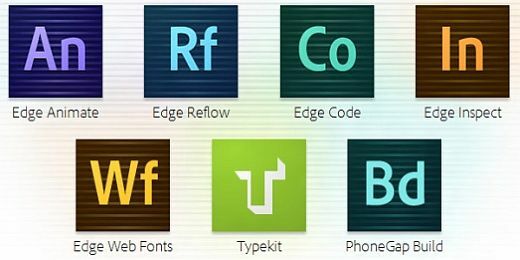 Amongst the various tools Adobe Edge Animate takes a key spot as a tool for creating animations for the web. It has an interactive UI based on WebKit in order to provide maximum fidelity across various popular browsers. Edge Reflow allows for the designing and laying out of websites. Reflow takes full advantage of CSS to create impressive designs along with an option to export code to etiher Dreamweaver of Edge Code. Edge Inspect is an inspection tool for designers to preview and tweak the final HTML code for mobile sites. Edge WebFonts is a free web fonts service that plugs into an ever-growing online library of open-source fonts. The idea behind this collection of products is to allow the web developers to deliver a polished product, along with making the process of creating said product much more streamlined and simpler. "We are excited to put a powerful new set of HTML5 tools into the hands of Web designers and developers and can't wait to experience the beautiful websites, digital content and mobile apps they'll create," said Danny Winokur, vice president and general manager, interactive development at Adobe. "We are passionate about enabling creative people to do anything they can imagine with Web technologies, which is why we're contributing to the Web platform and making the Edge Tools & Services available for free, including the first release of Edge Animate." Adobe Edge Tools & Services are available immediately as part of Adobe Creative Cloud free and paid memberships. Following an introductory period, Edge Animate is expected to be priced at US$499 for a perpetual license, US$14.99 per month for a standalone subscription, and included in a paid membership to Creative Cloud. Additional capacity for Edge Inspect and PhoneGap Build is available via standalone subscriptions priced at US$9.99 per month each and included with a Creative Cloud paid membership. Typekit paid plans which include more websites, fonts and page views are available for between US$24.99 per year and US$99 per year, with the US$49.99 per year Portfolio Plan included in paid membership to Creative Cloud. Paid membership to Creative Cloud for individuals is US$49.99 per month based on annual membership and US$74.99 per month for month-to-month membership. Customers who own an individual license of any Creative Suite edition or single product, version CS3 or later, are currently eligible for an annual membership price of just US$29.99 per month for their first year. Education pricing is also available. For more details, visit www.adobe.com/go/creativecloud. Best laptop under 35k for web developing work.